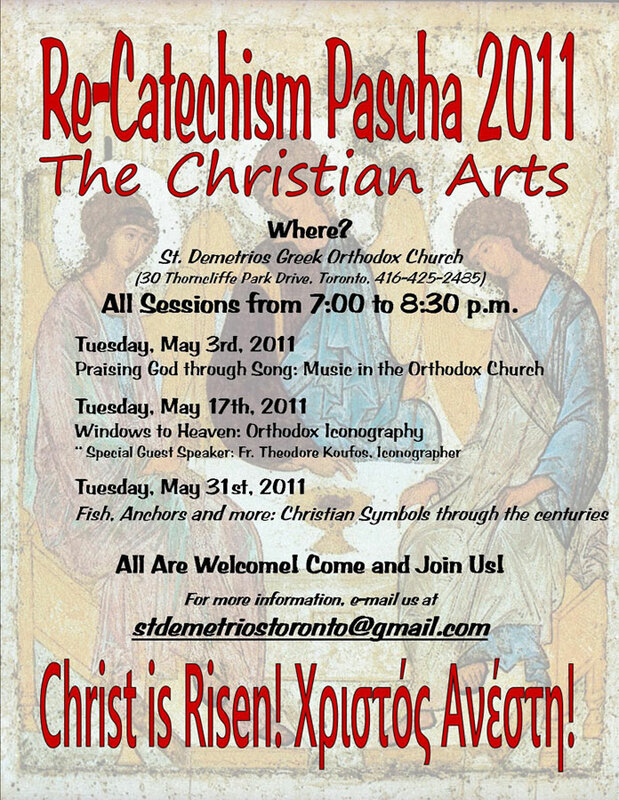 Saint Demetrios Greek Orthodox Church and the attached Polymenakion Cultural Centre were built in 1962. 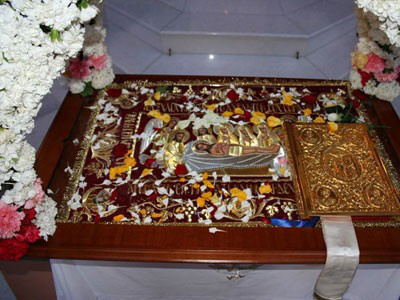 The church is dedicated to St. Demetrios the Great Martyr, celebrated on October 26th. The Cultural centre provides head offices for GCT, an office for the priest and the church administrators, classrooms for Sunday school students and multipurpose workshops for extra-curricular, cultural and religious activities. Attached to the front of the building is the Saint Demetrios Greek Orthodox Church. 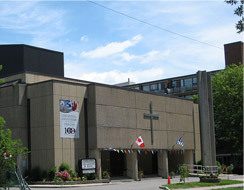 Ideally located at 30 Thorncliffe Park Drive, the church is within close proximity to the Don Valley Parkway, easily servicing parishioners from Toronto's downtown core and across the greater Toronto area. The church has a capacity for over 675 seated worshipers and ample parking facilities. 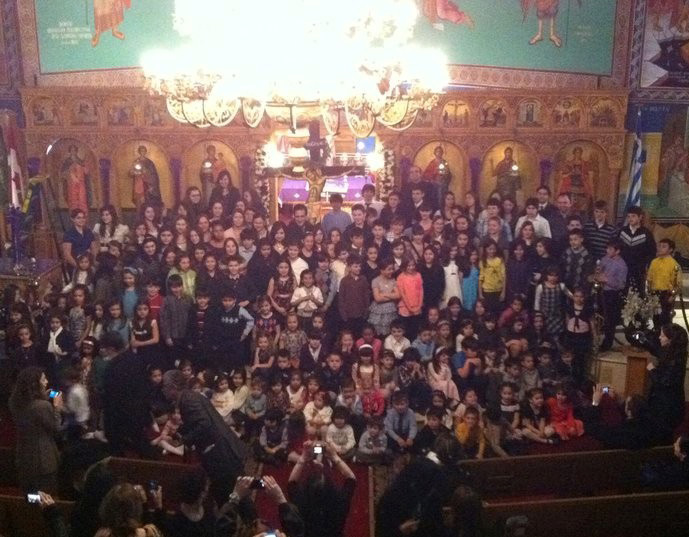 The iconography of the church was completed by Mr. G. Papastamatiou in 1975, and was sponsored mostly by private donors of our community. In addition to the masterful Byzantine style icons, another area of attention are the iconostasis which are a skilled hand-craft.